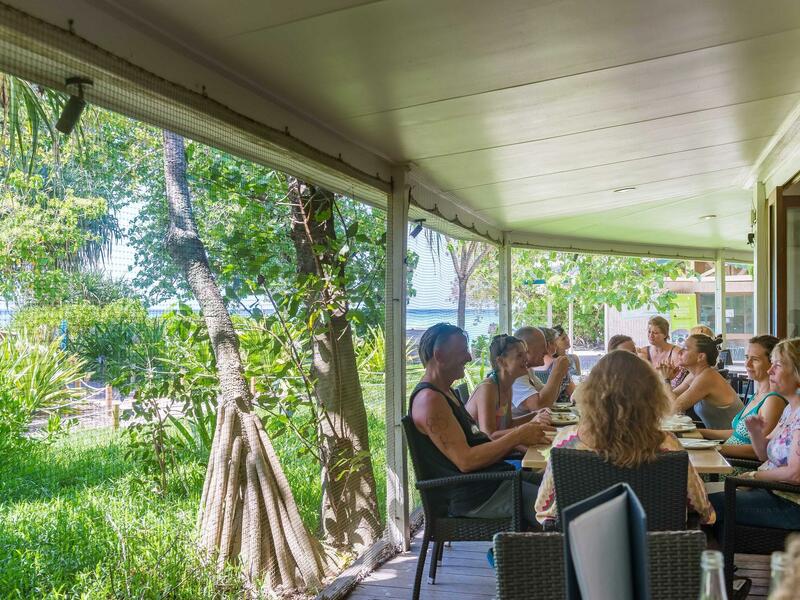 The Shearwater Restaurant is the perfect complement to a day of activities. 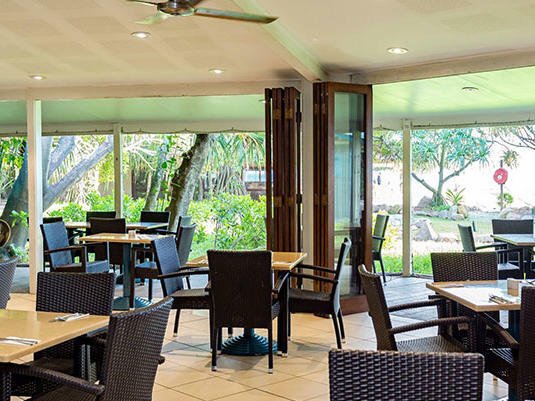 Come and relax in the Shearwater’s dining room or sit on the outdoor verandah and take in the splendid views of the surrounding flora, fauna, sea and Great Barrier Reef. 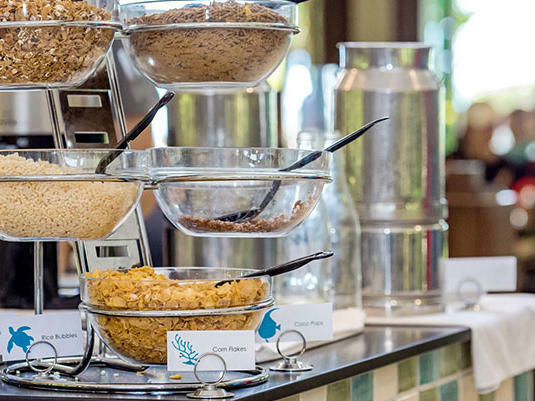 The Shearwater offers a wide selection of breakfast options and buffet or and buffet or a’ la carte evening menus . Those seeking healthy options will be as satisfied as those looking for the rich and sweet. 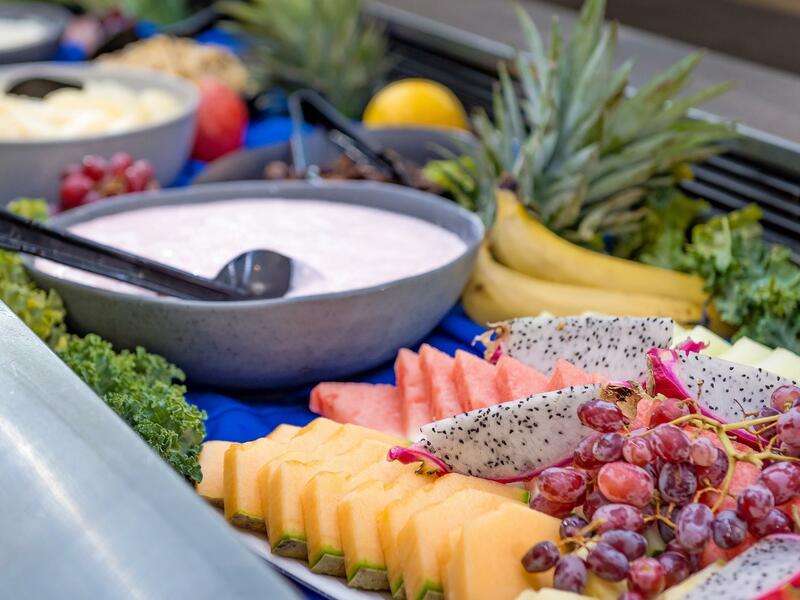 Start your day off right with an ample buffet selection of traditional breakfast favourites, coffees, teas, and juices – all included in the accommodation rate.  During the day, most Heron Island Resort guests are out on one of our many excursions, but for those staying put, the Shearwater Restaurant offers an à la carte lunch menu. And if lunch on the beach strikes your fancy, our staff will be pleased to prepare a picnic lunch to-go, for a small additional cost. When the day is done, enjoy meals that cater to all tastes. Dinner is included for all guests. In addition to Saturday nights buffet a Seafood Buffet will also be available at an additional cost of $30 per person. Dietary requirements can be accommodated with at least 2 weeks’ notice prior to arrival. While we strive to honour this menu plan, we reserve the right to alter or change menu selections as required.